As a relatively common seabird, Bulwer's Petrels are known to have an extensive range stretching across islands throughout the north Pacific, Atlantic and Indian Ocean. But now, the hardy species has added yet another destination to its list. 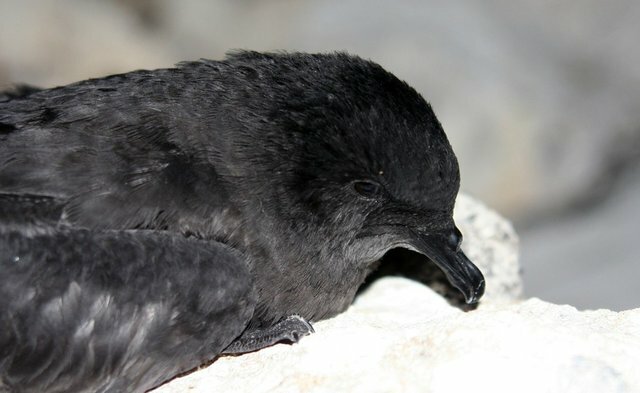 For the first time ever, a single petrel has been found in New Zealand -- though he's apparently a bit tuckered out from all the travel. The bird was discovered yesterday, outstretched in the sand on a beach in Christchurch. Pam Hill, who approached the animal to help, couldn't have imagined that she represented the welcome party to a species never seen there before. "He was looking very forlorn. I could see that he had nothing broken, but we thought he just looked really, really exhausted," she told Fairfax NZ News. The bird soon got a taste of Kiwi hospitality as Pam hurried the new arrival to a local bird rescue center. Jackie Stevenson, who cares for injured animals there, did not recognize the species, so she consulted an expert who identified the bird as a Bulwer's Petrel -- a species never seen alive before in the country. Stevenson says that she's still looking into where the bird might have originated from, but that she plans on just releasing him once he has regained his energy -- to either fly back from whence he came or settle in as New Zealand's first and only resident Bulwer's Petrel.